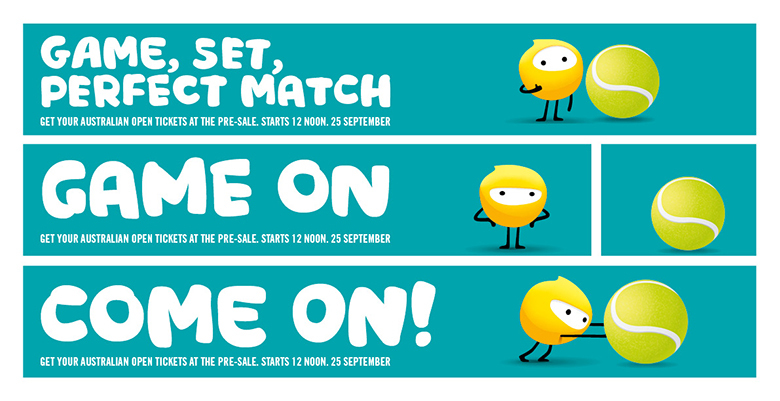 Since the Optus brand launch last July, we’ve been working with Optus on a range of additional projects from charity events to major sponsorships. It’s been great to see the brand flex in new and exciting directions. One of these projects is the Australian Open. As an official partner of the tournament since 2005, Optus has become an integral part of this globally recognised event. We were tasked alongside M&C Saatchi with creating a consistent presence for the tournament…Ace! (sorry). 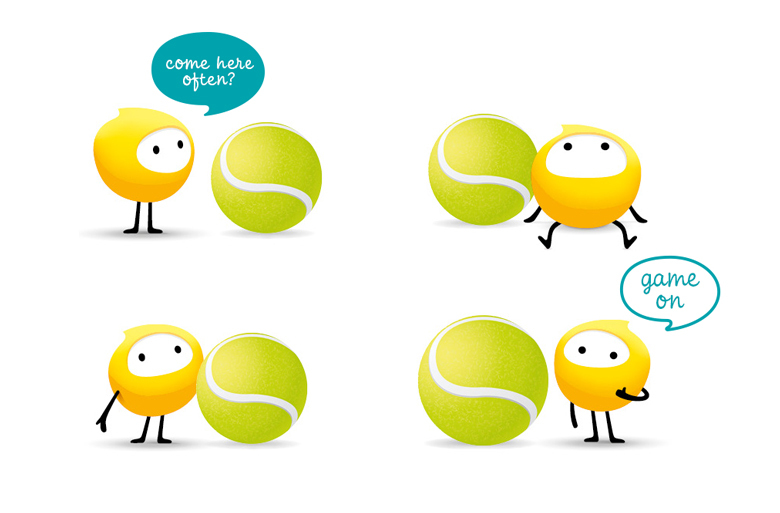 The concept revolves around our brand character – and his up and down relationship with a tennis ball. The unlikely duo teamed up with each other throughout the tournament and could be seen across advertising, marquees and match day collateral. Over the next few weeks we'll post a few more projects that best illustrate the play and flex in our rebrand for Optus.